MailBot account creator updated to version 8.26. The checker will save accounts that it could not check (unknown account type, unknown HTTP(S)-proxy error, etc.) in this list. 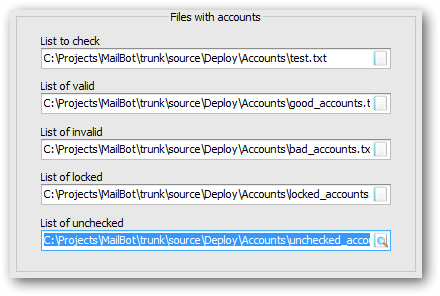 Do not hesitate to send such accounts to the developer and the cheker will be trained to recognize them correctly. Controls on the “Checker” tab are now located in the same way as on the “Creator” tab.